Electric Vehicles with Power Electronics (Automatic) Transmission in 1974. For over four decades, the SpaceAge group of companies have engaged in far-reaching and landmark research, design, development and innovation of numerous futuristic, and eco-friendly technologies in the field of agriculture, electric vehicles, nano bio-technology, electronics, and eco-friendly appliances. This has led to innovations far ahead of their time in agriculture, nano biotechnology, electronics, electric vehicles and eco-friendly appliances. At the helm of this research is Pramod Vora, a very passionate scientist and a visionary with a gifted perception, a concept generator with a quest for research and innovation, and a profound respect for ecology and nature. 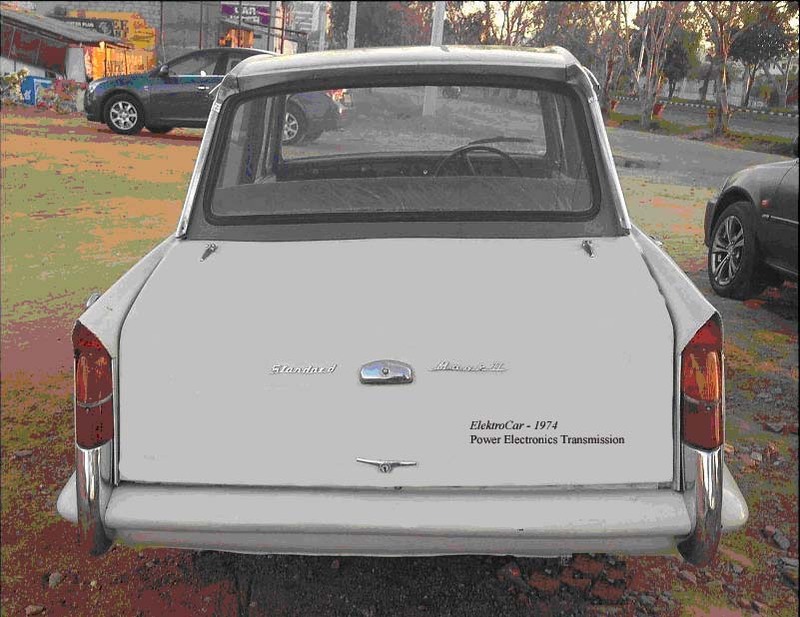 Pramod Vora as instrumental in the development of electric vehicles (EV) way back in 1974. This was achieved by the conversion of a Standard Herald, 4 door automobile with a power electronics transmission (automatic transmission) for gearless and clutchless speed control. The engine, gearbox and the exhaust system were removed to make place for the batteries and a 10 HP DC Motor. The top speed achieved was in excess of 60 Kmph (40 mph) using standard auto ignition lead acid batteries which were then available. Ten 12 Volt lead acid batteries were used to generate 120 Volt DC to operate a 10 hp (80 to 100 hp peak) DC motor. Speed Control was achieved using a Thyristor Chopper for smooth acceleration from 0 to 60 Kmph in less than 10 seconds. The high torque of the DC Motor made this possible and the need for gear change and clutch mechanism was thereby eliminated. The technology did not get commercialized in the late 1970s due to the non prevalence of technology to develop high density, deep cycle batteries. It has taken 40 years for light weight, high power density Lithium ion batteries to be available, which will now facilitate the commercial production of electric vehicles.